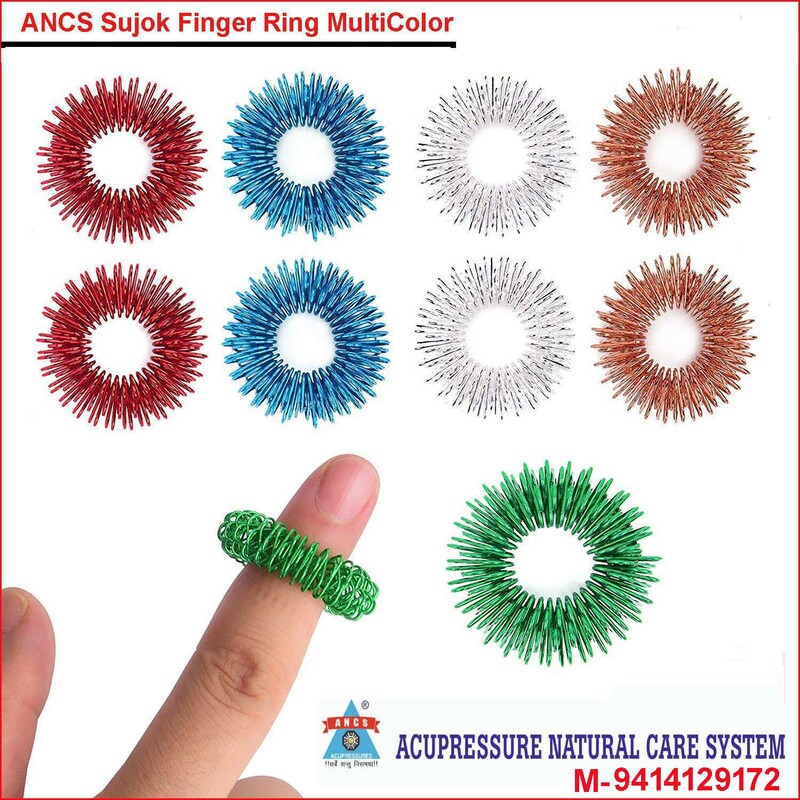 Sujok Massage Ring assorted Best Coloured In providing the correspondence systems treatment the therapists rely heavily on the wire-masseurs (rings, sticks), tubular and roller-type masseurs. Massage rings have been designed for intense stimulation of fingers and toes.They are used if a great number of correspondence points are to be stimulated simultaneously.Since fingers and toes are the miniature projections of the limbs (in the main hands-and-feet correspondence systems) and of the whole trunk (as in the "insect" systems) - not only does the fingers/toes massage make it possible to cure diseases involving the entire arm or foot, but it can also produce a curative and most beneficial effect on the body.As the massage ring is put on a finger or toe, it should be vigorously rolled to and fro until there occurs a sustained hyperemia and sensation of warmth. When the stimulation is completed, the ring should be taken out.